Our very first 50/50 cake and we think it worked rather well! Perfect as a centrepiece for a joint birthday party. Please enquire about other characters and combinations! 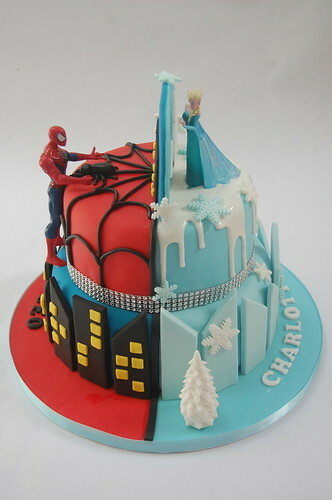 The Spiderman and Elsa 50/50 Cake – from £100.